The author brings a wonderful romance with an interesting twist that truly engages readers from beginning to end. Through the years, Susan Katrinka Butler enjoys crafting stories that are inspired either by her experiences in life or her creative mind. Her career as an author has led her to explore and write in different genres. This time, she writes a story that readers will fall in love with at every turn of the page. She brings a wonderful romance with an interesting twist that truly engages readers from beginning to end. 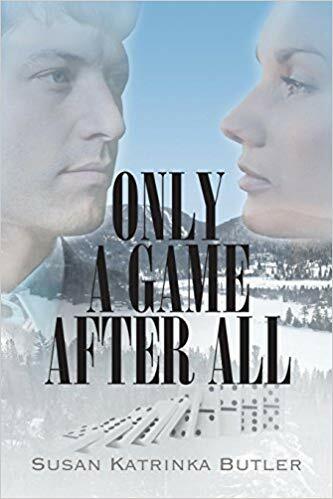 “Only a Game After All” follows Sarah Franklin’s story after waking up from a coma. Convinced that she’s still in high school, the young woman continues her studies in a new school. There she meets her new physics professor, Bill Petrov. On her first day, Bill was instantly smitten with Sarah. Looking for a lover is the last thing in his mind, yet he is easily drawn to her unique charm. Bill’s attraction towards Sarah grows as he slowly discovers how different she was among her other students—she evidently takes her classes seriously and her demeanor is more mature than that of a normal teenager. Will this attraction grow into something more? With their fascination and growing feelings towards each other, only time will tell. As the story progresses, Sarah’s past continues to be a mystery. Will she ever remember what who she really is and what happened that led to her coma? What will happen once she discovers her past? How will it affect their growing love for each other? Readers will discover how the story goes as they read through the pages of Butler’s interesting novel. Not only that, ”Only a Game After All” will soon take part in the upcoming 2018 Miami Book Fair. As the celebration runs from November 11-18, 2018, book lovers and literature fans alive will get to discover this book and many other great titles from different genre types. Therefore, this highly-anticipated affair is worth checking out! Susan Katrinka Butler grew up in Grand Rapids, Michigan, and now lives as an accountant in Lakeland, Florida. She has written in several genres and her next novel delves into the macabre.